Added The Restyled Cottages - Details of all the Restyled David Winter Cottages. Added Cottage Country Covers - More pictures of the Collectors Guild Cottage Country covers. Added The Limited Edition Cottages - A list of the Limited Edition David Winter Cottages with their edition sizes. Added Cottage Country Covers - Pictures of the Collectors Guild Cottage Country covers. Added Cottage News (Special Edition) - A special news page containing special information on David Winter Cottages. Added The History Tour - A history tour from the very beginings of David Winter Cottages to the present day. Added Cottage Statistics - A comprehensive listing of interesting facts and statistics including the yearly releases and retirements. Added Mouse! What Mouse? - A comprehensive list of where to find the mice and owls. Added The Whole Collection - A list of the whole David Winter Cottages Collection in different formats to view online or to download. Improved page for Archive Cottage News - The archive news and information pages of stories you may have missed. Added The Puzzle Zone (The Twin Dilemma) - Fun and entertainment by matching the cottages while trying to remember where the different images are. Improved page for Cottage News - News and information including new cottages & retirements. Improved page for Cottage News (Special Supplement) - A special article on the history of Britain's railways to complement the year 2000 Guild pieces. Improved page for Cottage Listings - A comprehensive listing of every David Winter Cottage. Improved pafe for The Christmas Pieces - Information on this collection of festive David Winter Cottages. 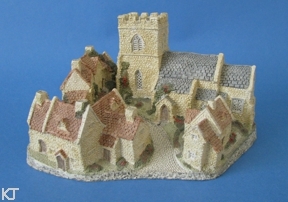 Added The Special Limited Edition and Charity Pieces - Information on this collection of special David Winter Cottages. Added The Eccentrics Collection - Information on this collection of David Winter Cottages. Updated Cottage News (Special Edition) - Now contains full information on the year 2000 Guild pieces. Added Cottage News (Special Supplement) - A special article on the history of Britain's railways to complement the year 2000 Guild pieces. Added Music Jukebox - Listen to some background music. Added Christmas Ornaments Collection - Information on this collection of David Winter Ornaments. Added Contents List - A comprehensive listing of everything on this web site. Added What's New - A list of the new stuff on this site and what is planned for the future. Improved Home Page - The main entrance to everything in this web site. Added Cottage Search - A search engine for every David Winter Cottage. Improved Cottage Gallery - New photos and a better way of viewing them. Manufacturer Listings. - During a moment of madness I realised that I could easily program my Database to produce no end of interesting facts and figures. This list can now be viewed at the Cottage Statistics. A comprehensive list of all the Limited Edition Cottages has also been added. Watch this space for even more information including a seperate list by manufacturer and the Cottage Countries. Cottage Details. - As mentioned above I have been concentrating on listing the collection as a whole. I plan to expand on this to include detailed information and pictures of the cottages and individual collections. This has meant that I have had to completely rebuild my Database to incorporate the extra information and also make the building of the web pages easier. This I am sure you will appreciate will take some time. The Restylings - In case you are not aware on a majority of David's earlier pieces a large amount of restyling was done. This was done either to make the production of the pieces easier or to make the cottages fit in with the more detailed pieces which David had started to create. A comprehensive list of what the differences are seems like a good idea. I also intend to expand this to include the differences in the more recent Premier versions as well.